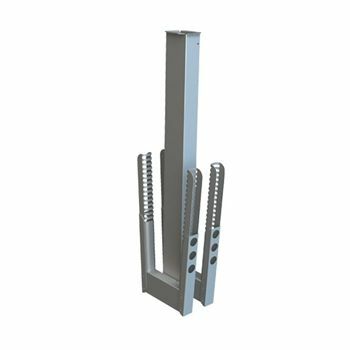 The B&C Technologies FC-20 Firedryer is especially designed for drying heavy duty overalls and turnout gear or bunker gear. 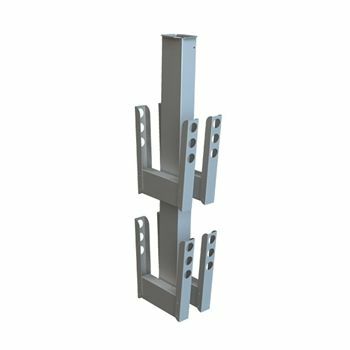 With efficient and gentle drying action, the dryer can hold 6 sets of turnout gear making it a necessity for fire departments and other industries. The unique drying process dries the gear from both the inside and outside. Fans direct heated air over the outside of the gear while a second system dries from the inside, directing the air through specially designed hangers to the interior of the gear. 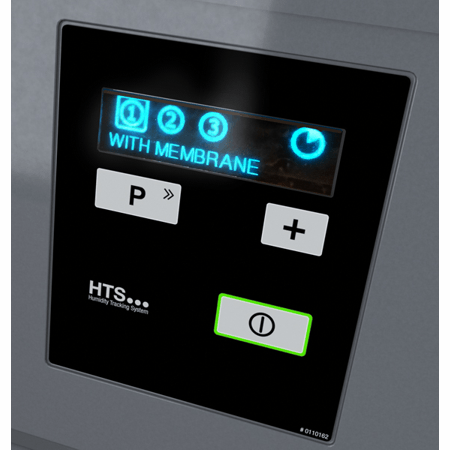 The standard patented Humidity Tracking System (HTS) stops the drying process when the goods are dry, preventing overdrying and saving time and money on utility costs. The FC-20 dries with no mechanical tumbling action, extending the service life of the fabric, as well as the life of the zippers, reflective tapes and other components. While dirty gear can pose a serious health risk to firefighters, wet gear poses a safety risk. If there's moisture trapped in gear during a fire it can turn to steam and cause burns. In addition to the risk of burns, storing wet gear can cause mildew and bacteria growth which can not only be unhealthy, but can also weaken the gear. 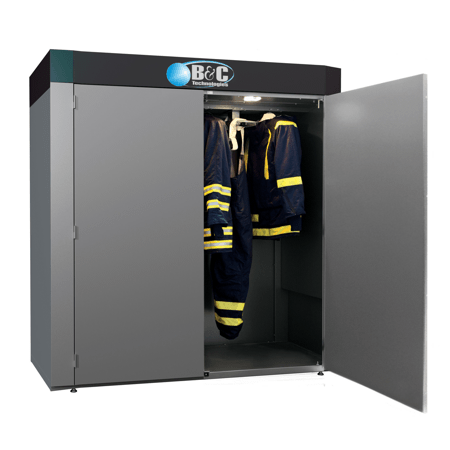 The FC-20 gear drying cabinet from B&C Technologies completely and quickly dries bunker gear. When you head out to the next call you can rest assured knowing your gear is safe and dry. The FC-20 control provides three manual programs and three automatic programs, each with our unique Humidity Tracking System (HTS) which continuously measures the levels of humidity during the drying process to determine exactly when the goods are dry. All turnout gear programs meet NFPA standards and will not cause damage. Programs can also be set for other garments and station wear. Have any questions about the FC Series? We'd love to hear from you. The large display provides information via symbols and text, keeping you up to date during the drying process. Three manual programs and three automatic programs, each with our unique Humidity Tracking System (HTS) measure the levels of humidity each second to determine exactly when the goods are dry. All programs meet NFPA standards and will not damage turnout gear. 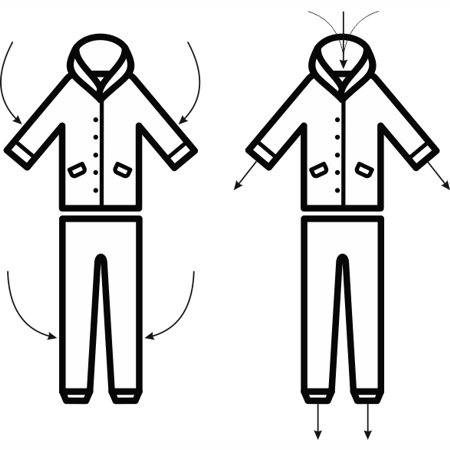 Programs can also be set for other garments and station wear.